Ask.com launched a new feature that allows you to see a list of recent earthquakes occurring all over the world. When I looked at the recent activity list, there were about 20 earthquakes listed in the last 24 hours. 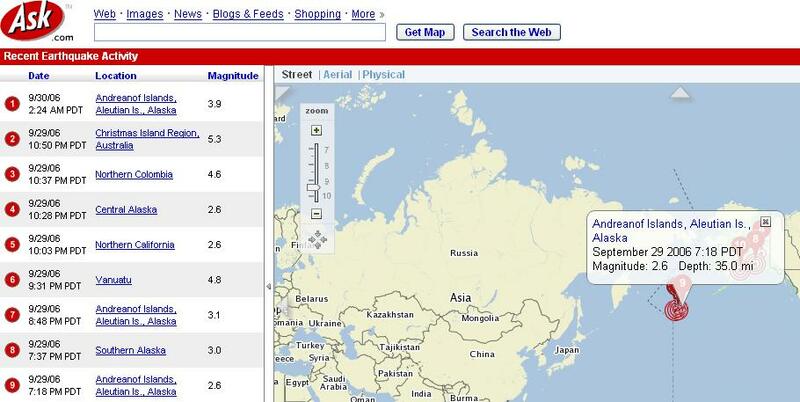 One was even a magnitude 6. Scary stuff especially if you see a red circle over where you happen to live.